I took several pictures of this fellow while doing my Day Camp Counselor gig, but had no time during the week to look him up. 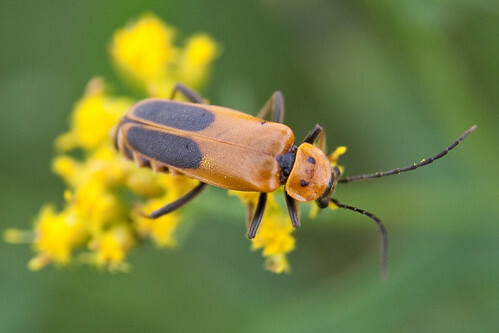 Today I searched the internet for “goldenrod beetle” in hopes of finding something relevant. 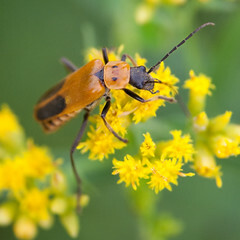 Turns out, he’s called Goldenrod Soldier Beetle, also known as the Pennsylvania Leather-wing (Chauliognathus pensylvanicus). One of the more fascinating things I ran across was at the (AMAZING) site BugGuide. Click to go to the full account on Bugguide.net. There is, apparently, a fungus that attaches itself to the exoskeleton of certain insects as they pass by along the forest floor. After burning a hole through the armor, the fungus proceeds to attack the “non-vital” organs, while injecting antibiotics and other “medicines” to protect the host for a bit longer. Eventually the fungus makes its way to the brain where it manipulates the behavior of the insect causing it to climb high into the tree-tops. There, it devours the rest of the brain, after which the insect body explodes releasing the spores of the fungus. This is another example of a story that makes me ask, “How do they know that?” Do you know of a book that explains how we know what we know? I’d like to read it! Send me the title and author, please! Nice images of soldier beetles. 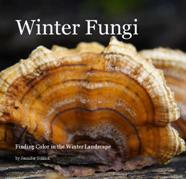 Check out the following for more info about the fungus as well as a bit on horsehair worms—good images and videos. Cool! Thanks, Brad… proving once again that truth is stranger than fiction! 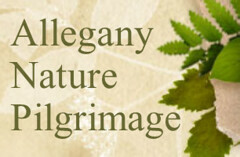 Very enjoyable as well as educational reading – trying to catch up on a few posts! Thanks! 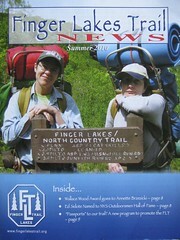 Neat story about the fungus. What a magical world we live in. I love little interesting anecdotes of natural history. Thank you for sharing your discoveries. I am reading a book right now that explains a lot about “How we know what we know,” and is very well done. I am sure you would know a lot of the info already, but I am finding it a very interesting read. The Nature Handbook: a guide to observing the great outdoors by Ernest H Williams, Jr. I found a copy on the library shelf and just received a delivery of two from Amazon, one for my reference shelf and one for a nature loving friend. 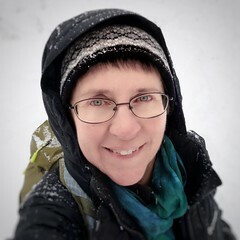 It is like having an amazing naturalist with you at all times with a references cited section attached. Brillant book!! I found these insects in my garden and wondered they are bad guys. I am relieved to hear they are beneficial. 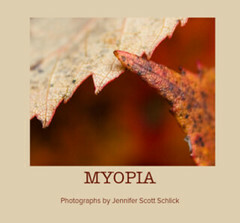 Great images and an interesting read – nice to have stumbled upon your blog Jennifer! you know the coolest things!! !